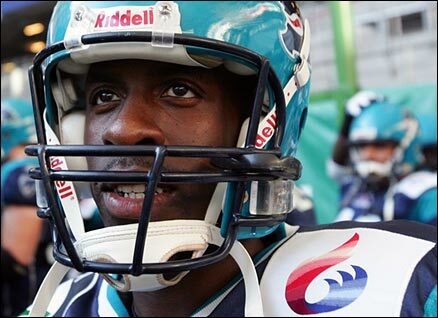 In 2009 the NFL Hall of Fame exhibits that were bought over to London were amazing. 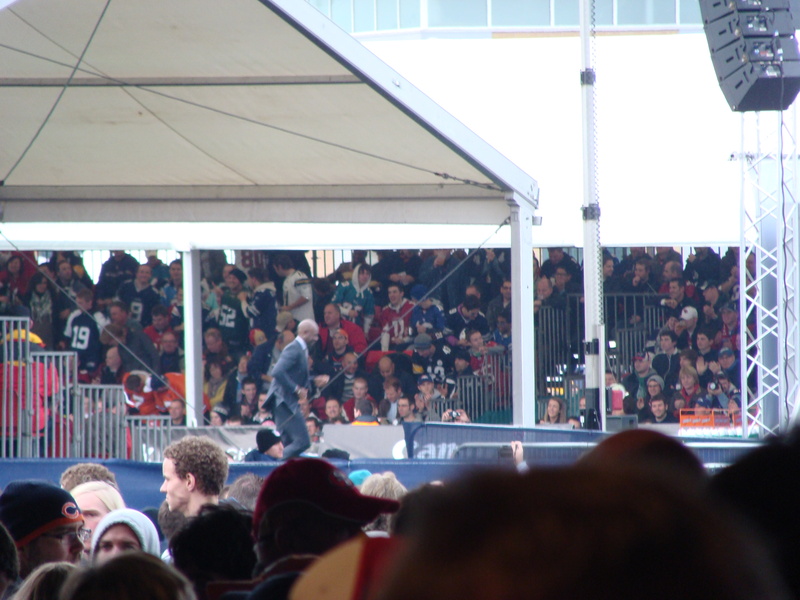 This year the NFL downscaled to just the 49ers Hall of Fame exhibits. Judging by the queue at the Wembley car park last Sunday to get to see the 49ers exhibits it was if Tutankhamun was being displayed. The long winding queue to the player shirts, Super Bowl rings and Super Bowl trophies went via the San Francisco 49ers Hall of Fame inducted player plaques. There were many players I know and loved watching, including Roger Craig, John Brodie, Joe Montana and Ronnie Lott. 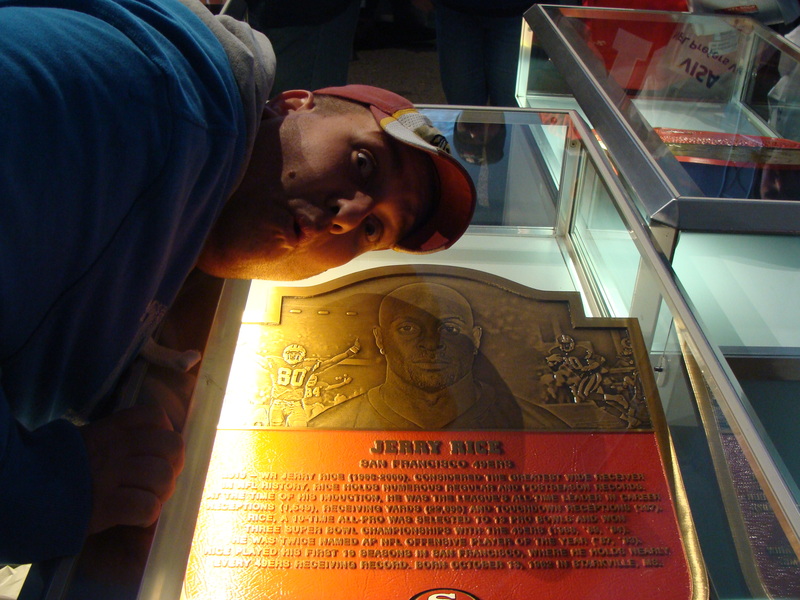 I made the point of asking my wife to take a picture of me by Jerry Rice’s plaque as I grew up watching Rice torture 27 NFL teams and break every record imaginable. It was at the precise second that I started reading Rice’s accomplishments when a cheer went up in the nearby stage area. 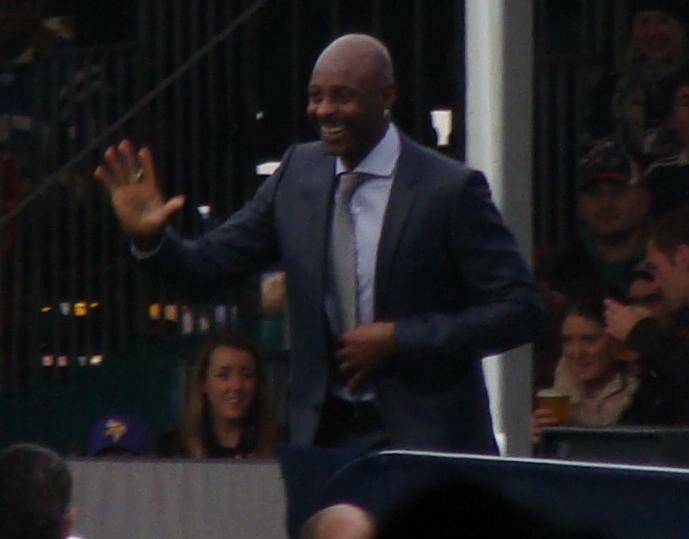 Using my zoom lens I focussed on the stage area, and to my absolute delight the main man was being introduced – yes here I was about 100 metres away from the legendary Jerry Rice.